A new emergency pamphlet in Israel instructs residents to prepare for the worst if Tel Aviv conducts a military strike on Iran. But the face on the brochure isn’t the country’s President or Prime Minister – it’s a Muppet. 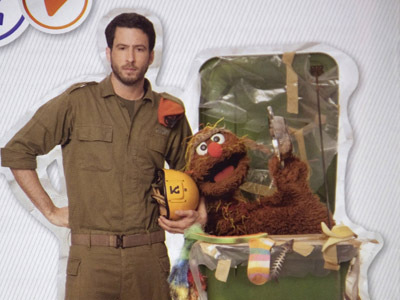 Muppets on the popular show are known for teaching children numbers and the alphabet, but Moishe Oofnik has taken on a different job with this pamphlet – instructing Israelis how to react if their nation’s government launches a war against Iran. The booklet, issued by the Israeli military, says that once air raid sirens sound, residents of the Jewish state would have between 30 seconds and three minutes to find cover before rockets hit their area. The brochure, which is being distributed across the country, also teaches Israelis how to prepare a safe room or shelter for emergency situations. The furry Muppet puts a happy face on the warnings, though the issue is anything but lighthearted: Israeli ministers have estimated that up to 500 civilians could die in the conflict that would follow a strike on Iran. The pamphlet comes in the wake of recent remarks by the country's officials suggesting that Israel may soon launch a unilateral attack on Tehran’s nuclear program. Prime Minister Netanyahu and Defense Minister Ehud Barak reportedly favor a strike on Iran. Public statements and anonymous quotes to Israeli media in the past week have raised speculation that Israel may soon attack Iran. The bellicose rhetoric comes over Israeli and Western allegations that Iran’s nuclear program is a cover for the development of atomic weapons, while Tehran claims the facilities are for civilian purposes. Less than two weeks ago, Netanyahu announced that negotiations with Iran had “failed,” and claimed that Israel will attack Iran in the near future, with or without US consent. The Israeli Defense Minister also supports military action against Iran: "Barak is advocating for action and the defense establishment is investing billions to prepare for an Israeli military operation," an Israeli official told Ynet News. 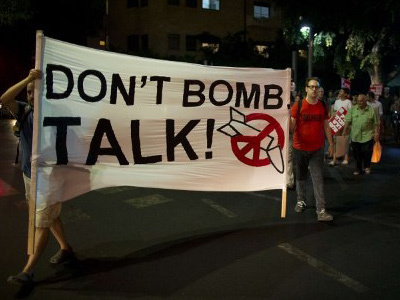 But the ambition to set back Iran’s nuclear program could come at a high cost to Israel’s citizens, causing many Israelis to protest a potential attack. 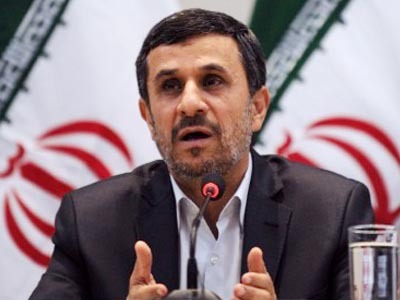 The country’s president also recently spoke out against a unilateral strike against Iran. "It's clear to us that we can't do it alone. We can only delay [Iran's progress]. Thus it's clear to us that we need to go together with America," Shimon Peres told Israel’s Channel Two television. Iran has promised to retaliate against in Israeli attack in what could lead to a wider regional war among several different forces. 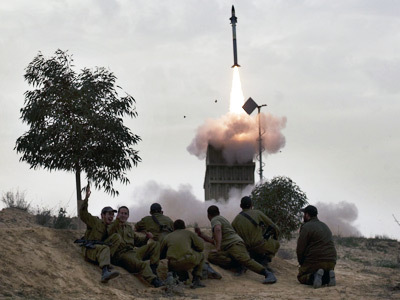 Tel Aviv fears that Tehran could induce its Hezbollah guerrilla allies in Lebanon and Palestinian militants in the Gaza Strip to launch rocket strikes against Israel if Iran were attacked. As the Israeli government prepares for the worst, it is urging residents to have a “family talk” about preparing for a national emergency. But it’s not just pamphlets that indicate that an attack may be imminent – Israel increased the distribution of gas masks and other protective gear to the public several weeks ago. 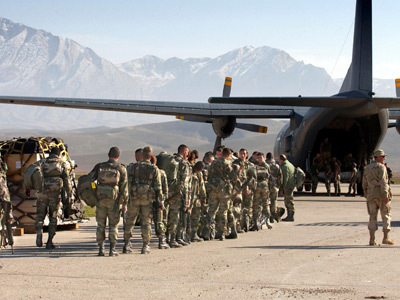 "There are always innovations the public needs to know about, it doesn't mean anything is going to happen today, tomorrow or the next day," an Israeli military source told Reuters. 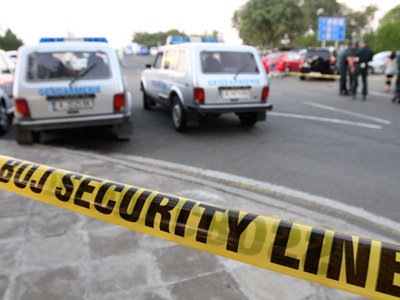 Israeli tourist attack: A pretext for war with Iran? Israel to strike Iran as window of opportunity narrows?